2. If you want Internet Explorer to be your default program, then select Set this program as default for Internet Explorer in the tutorial linked below. 3. 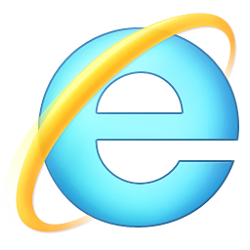 Do step 4 or step 5 below for how you would like to pin Internet Explorer to your taskbar. A) Open All apps in your Start menu. B) Scroll down to and expand open Windows Accessories. C) Right click or press and hold on Internet Explorer, and click/tap on Pin to taskbar. B) Browse to and open the C:\Program Files\Internet Explorer folder. C) Right click or press and hold on the iexplorer.exe file, and click/tap on Pin to taskbar.